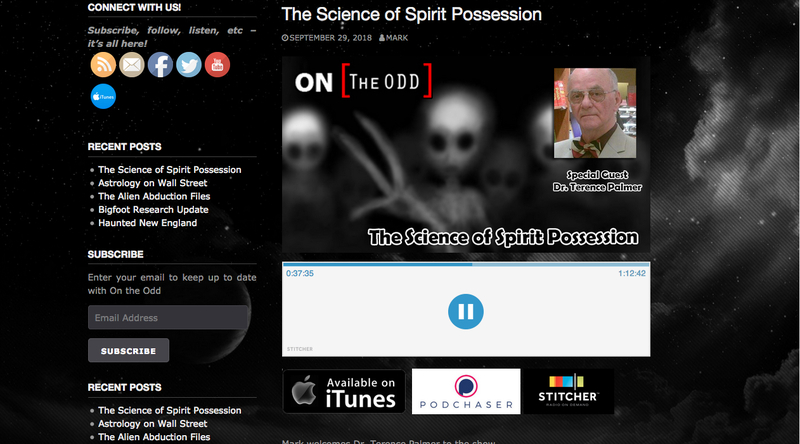 Here is a recording my my interview with Mark Jeacoma of the radio station ‘On the Odd’ in Long Island, New York. Its a long interview that lasts for one hour and twelve minutes, so settle down, make yourself comfortable and let the interview explain a lot about spirit possession and how I came to work in this field of human experience. Click anywhere in the image below for access to the recording.